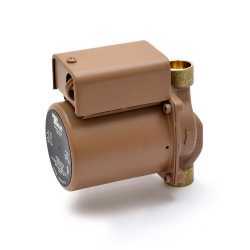 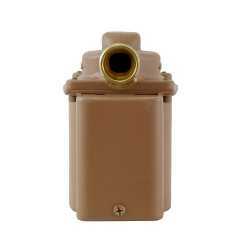 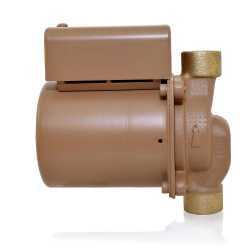 The 006-B4 from Taco is a Bronze Circulator Pump, 3/4” Sweat, 1/40HP, 115V. It's designed for circulating hot or chilled fresh water in open or closed loop applications. 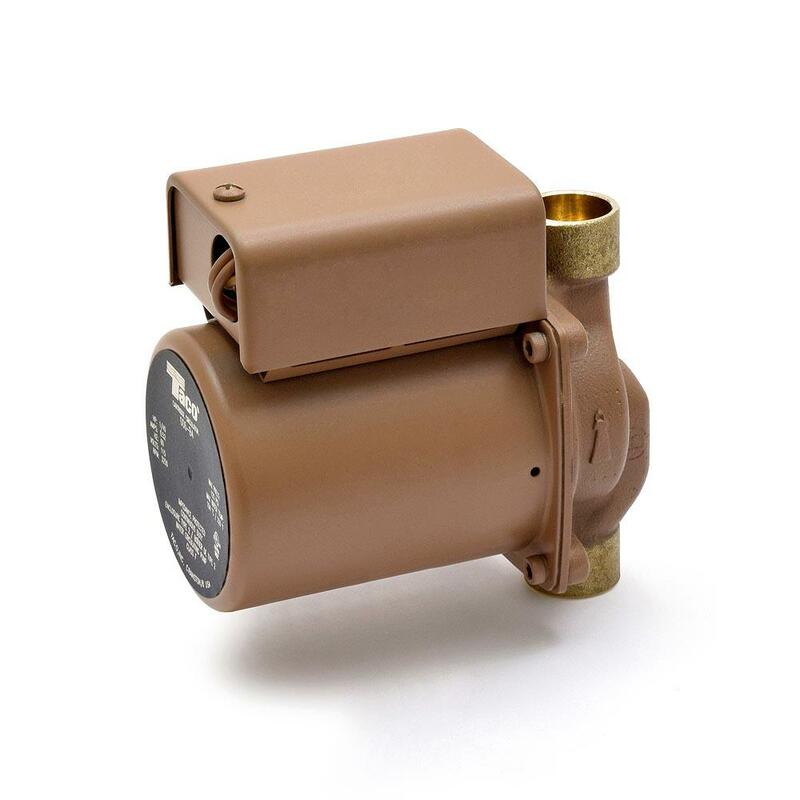 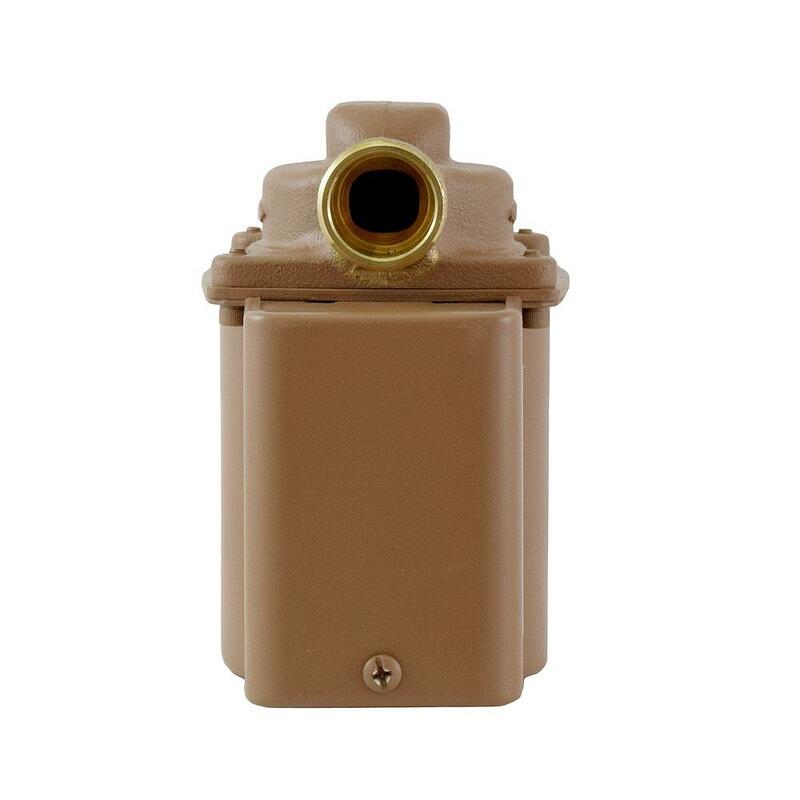 It can be used for hydronic heating, domestic hot water recirculation, hydro-air heating/cooling, heat recovery units, water source heat pumps, drain down open loop solar systems and potable water applications. 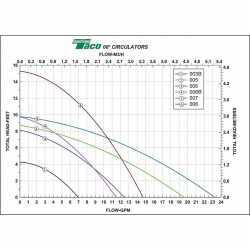 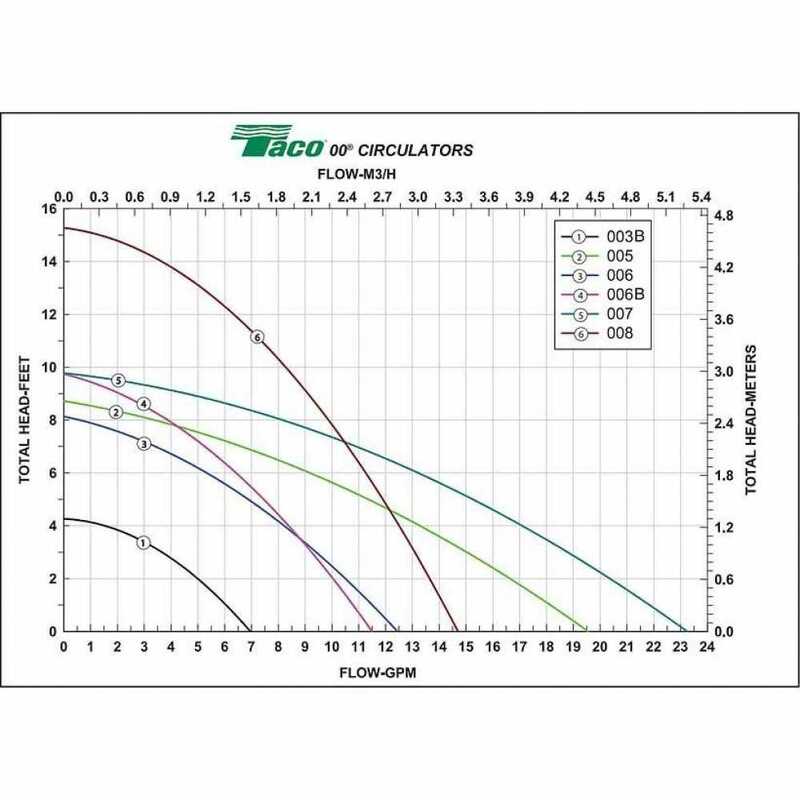 The compact, low power consumption design of the Taco 006 Circulator Pump is ideal for high efficiency jobs. 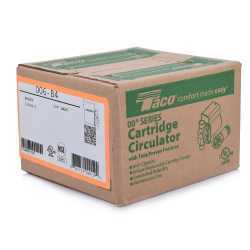 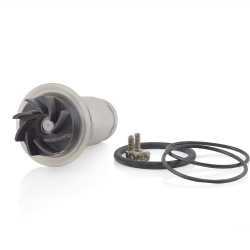 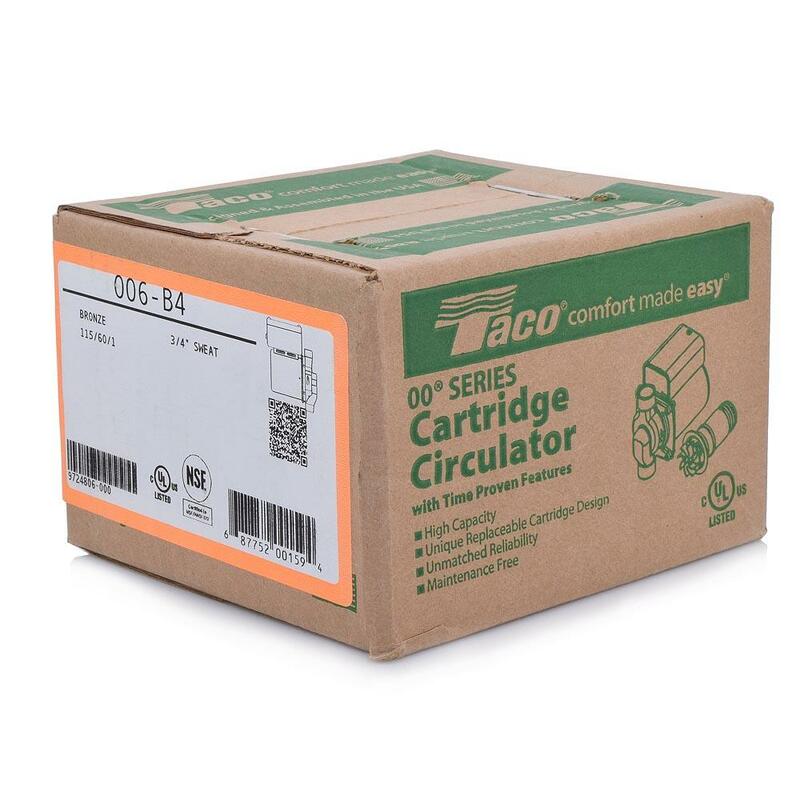 Features the unique, replaceable cartridge that contains all of the moving parts and allows for easy service instead of replacing the entire circulator.